To create and integrate a report as part of your project is quite easy. 2. 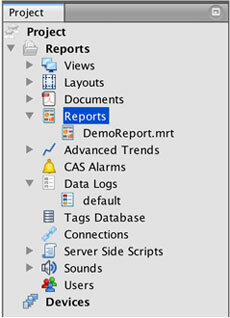 Click on the Report section and select “Create new” on main Toolbar. You will be presented with new report dialog. 3. Enter the name of the new report and press OK.
4. New empty report template is created and report designer is automatically open. 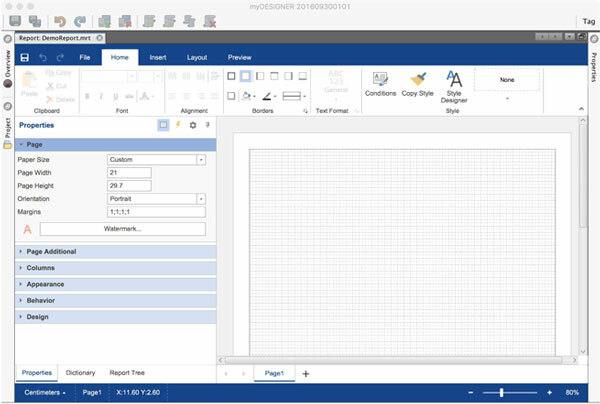 Now, you can design your report. Once the report is designed, press save to save it.